Singapore Tour Package with 5 Nights Accommodation and e-visa facility. Srilanka Tour Package in just $445 per person with facilities of 4 nights accommodation. 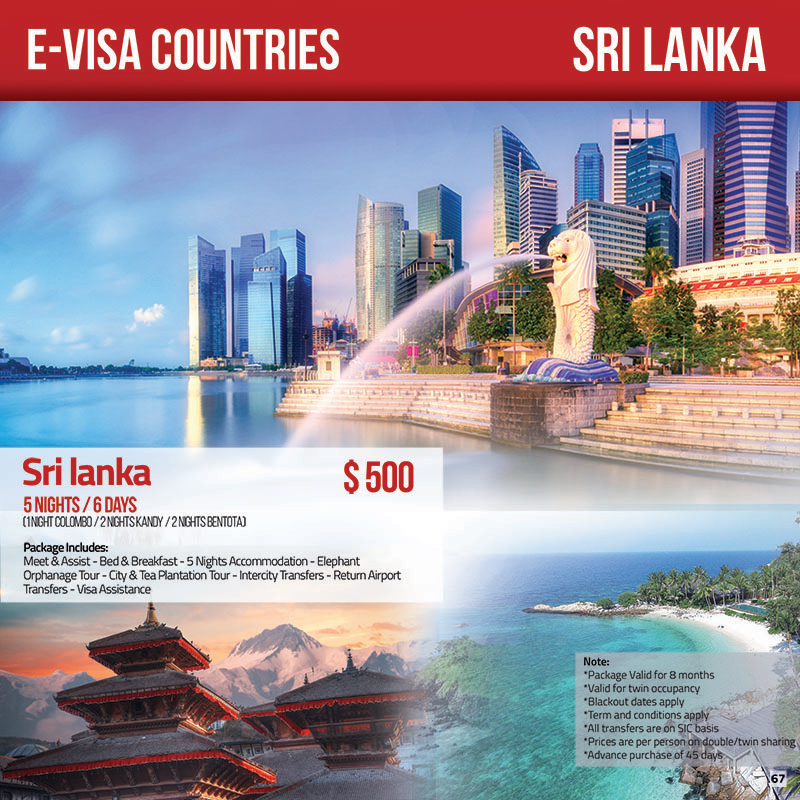 Colombo 2 Nights, Kandy 2 Nights, Daily breakfast, English Speaking guide.